Well, that is what I have been told throughout my life. When I do eat breakfast, I like to make a hearty meal that will keep me going right up until lunchtime and also a meal that is light on my tummy. Porridge is out of the option, it is too heavy, smoothies are a no go, they make me even more hungry so the only next best thing is eggs. Dressing up eggs is sometimes a mission and I always tend to go the easy route, bacon, and eggs, scrambled eggs, fried eggs, poached eggs. This is a quick and easy recipe I came across in the Breakfast Bible cookbook. 8 eggs whisked together with 2 tbsp. milk. Stir and allow the egg mixture to run down to the bottom of the pan. Allow cooking till the mixture is firm, but not fully cooked. 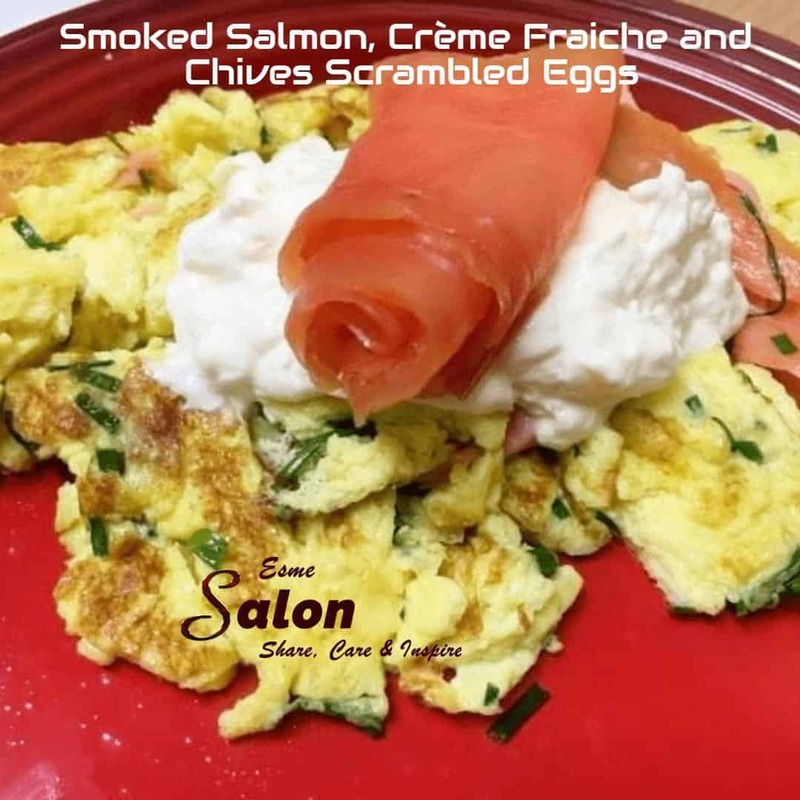 Hello Esme, this is one of my favourite breakfasts and smoked salmon is always a treat. Thank you for sharing your recipe and have a lovely day. Definitely a combination you really cannot beat. YUM!! This sounds like a perfect Sunday brunch recipe! Thanks Rachael – most definitely a perfect brunch for the weekend.